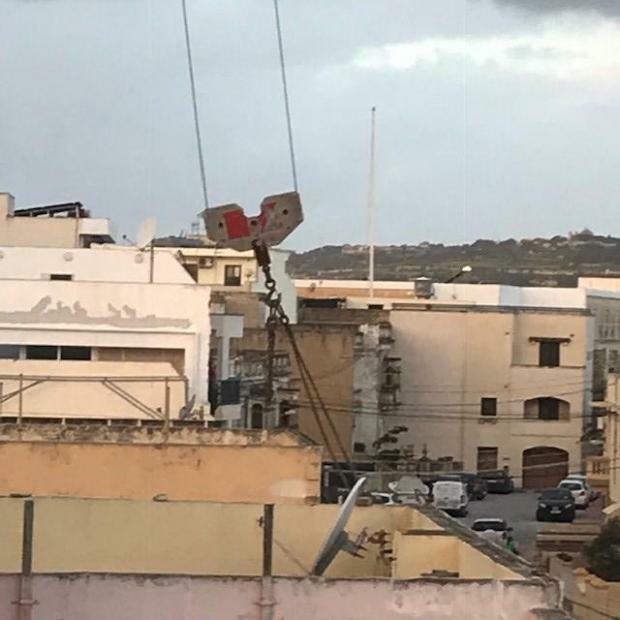 A crane operator on Monday morning lost control of a jib and damaged power cables in a residential Żebbuġ road, causing a power cut. The incident, early in the morning, is believed to have been a consequence of the strong wind. Residents told Times of Malta the incident happened at around 6.30am on Triq Lazzru Pisani. “They just shouldn’t be using a crane in such a strong wind, it was obvious they would lose control,” one resident said. 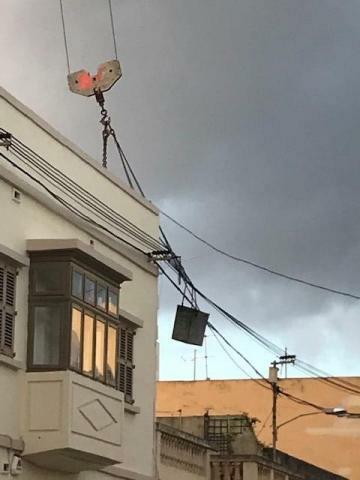 The crane was being used to hoist materials at a construction site when the jib got entangled in the black cables that hang over the street. No one was injured in the incident. Enemalta workers were on site to inspect the cables and restore power.